IndyCar will race at Circuit of The Americas in Austin for the first time ever this weekend alongside some entertaining support series, but not before we get the chance to have a little fun ourselves. If you’re going to the track this weekend or happen to be in town, feel free to join us for a meetup on Saturday night. Oh, and if you’d like to tell your friends that you’re now hanging out at the bars with professional race-car drivers, the folks from the Harding Steinbrenner Racing IndyCar team—driver Colton Herta and owner George Steinbrenner IV—are joining us as well. No RSVP or call-ahead needed this time. All you need to do is show up this Saturday, March 23, at Lustre Pearl East at 7:30 p.m. CT, which gives you enough time to stick around at the track for the Stadium Super Trucks race but, unfortunately, not enough for the Muse concert that night. It won’t hurt our feelings if you want to stay. 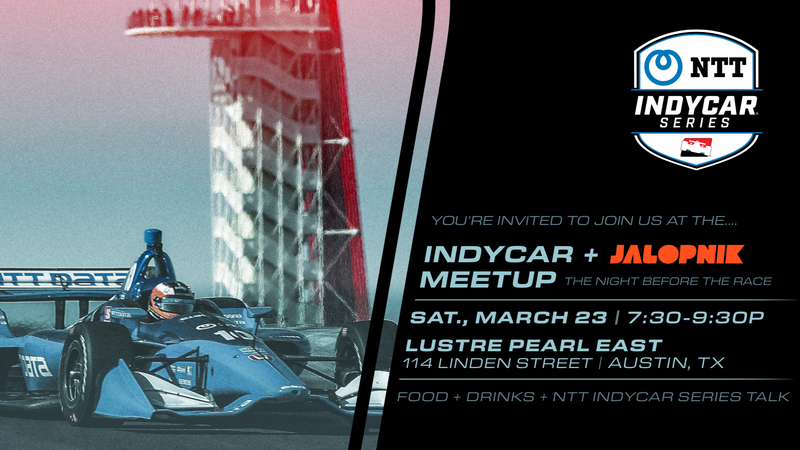 If you’ve been around long enough to know that we do annual reader meetups for the Formula One race in Austin, this is a similar kind of thing—some of the people you might know from Jalopnik will be there, like myself, in addition to some of the folks you almost certainly know from IndyCar. It’s a casual meetup, and there’s a parking lot plus street parking available. And car people—if you plan on drinking, please be responsible and plan on a cab or ride-share car home. Who: Me, some other Jalopnik contributors, Herta, Steinbrenner and whoever else decides to show up. (Update: That includes Mario Andretti, Al Unser Jr., Kyle Kaiser and Dalton Kellett. Yes, the Mario Andretti.) And, of course, you! Food: Appetizers will be provided; drink tickets will be $5. Parking: There’s street parking around the bar, along with a parking lot. RSVP? Don’t worry about it. Come hang out and talk fast cars with a bunch of other people, including those who drive them. It’ll be a blast.